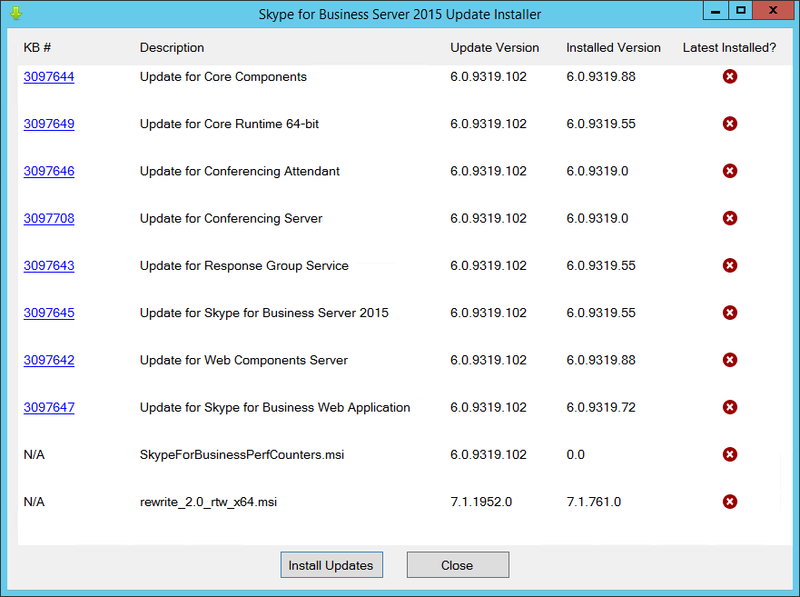 Just to keep us on our toes and to confuse those of us who – like Andrew – keep a rolling “CU” count of updates, Microsoft’s just released the third server update for Skype for Business 2015 and officially labelled it “CU1”. I know; just go with it. 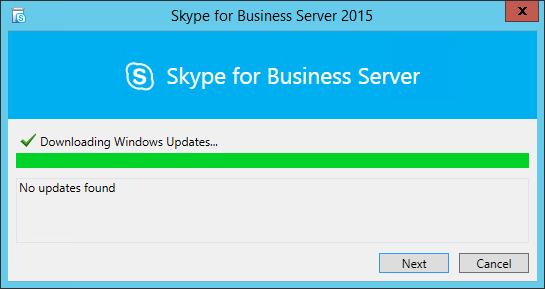 This update (Kb3061064) takes the server from 6.0.9319.88 to 6.0.9319.102, with lots of components affected. SLA’s a fantastic new acronym we’ll be experimenting with for a while. I won’t go into it in a great deal of detail right now because I’ve already been beaten to the punch by the likes of Richard Brynteson and Matt Landis. Check out their posts for detailed how-to’s and screen-grabs. Suffice to say that “SLA” brings what we in Australia would call “Commander-style” (aka “key-station”) functionality to SfB. It’s only available on the VVX family at the moment, and won’t be retrofitted to the LPE/Aries devices, nor the desktop client. To say it’s going to revolutionise Boss/Secretary handling is no understatement. “Start-CsWindowsService” still won’t start the “FabricHostSvc” on the Edge server. 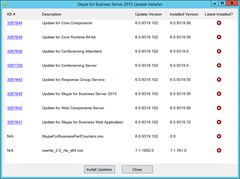 Kb3097645 adds Note: Server-side conversation history in branch site deployments is no longer supported in November 2015 cumulative update 6.0.9319.102. Here’s the kb article and the install procedure. 22nd November: This is the initial release. I still see this same behavior happening even today (2017 February). Does the edge server really need that fabric host service for any reason? When its in a pool vs. standalone, or the reason is something completely different? « Quick Tip: Am I SE or EE?